Mexican Food Restaurant For Sale and Owner Wants it Sold! 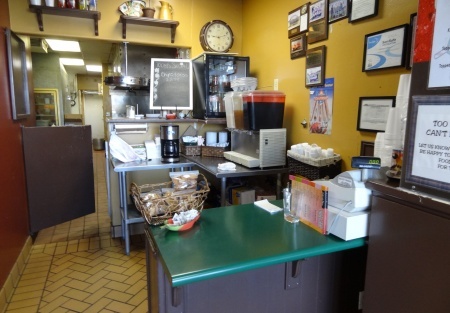 Are you looking for an easy to operate restaurant in a busy Shopping Center? If so, this Mexican Food restaurant is for sale and may be for you. Established since 1992, the owners are ready to move on. The good news for a new buyer is the steady clientele is coming back after the great recession. This restaurant has everything you need to move in and start cooking. Run your catering business, feed hungry breakfast, lunch and dinner patrons. Bring your own recipes and add to owner's recipes. Great opportunity at a great price! Plenty of parking, next to anchor Stater Bros. Full hood and seating for 22. Currently no Beer or Wine being served which presents a huge upside for a smart operator. Did I mention that this little restaurant, fully functioning and equipped, is going cheap? You cannot open a restaurant today for what the owners are asking for this established Mexican Food Restaurant. Hurry, this opportunity will not last.